It was just over two months ago that Google launched Chrome for Android, and so far it appears they are making good on their promise of frequent updates. 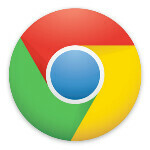 The Chrome blog announced another major update today, which includes widespread international availability. Chrome for Android has added support for 31 more languages, and the app is now available everywhere the Google Play Store can be reached. Requesting the desktop version of a website was high on a lot of peoples’ lists, and frankly we were surprised the app launched without this ability. Perhaps that’s why it’s technically a beta product. Regardless, prayers have been answered and now you can select “Request Desktop Site” from the options menu. It is also nice that Chrome now lets you choose what app you want to use to launch a link – it’s one of the default behaviors in Android, and that flexibility is now available in Chrome. The last thing I need is Flash! I have not really missed flash at all. Only issue I have with the chrome browser is side loading apk's. It seems to download my apk I have hosted on my intranet as a zip, have not bothered to really look into it, I'm sure there is probably a way around it, but it has just become second nature to e-mail the apk to my self instead of grabbing from my page link, now. If I download the APK on my desktop chrome browser it does the same thing. Oops, seems the issue was fixed in this version, Apk's are properly downloaded now. Me 2.... So ICS has no flash.... I don't see the point Upgrading ti ICS!? Buttery smooth!! I prefer firefox on desktop and chrome on phone! wait so now is chrome available on all android phones? only if you are on a phone running ICS android 4.0 I have it on my Galaxy S2 and it is one of the best mobile browsers out there. I'm scared to update my Galaxy S2 when it comes out in the US. I heard there was connection, app, and major battery life problems. Have you had any problems? Thanks in advance. crap. I have the samsung stratosphere and no ICS in sight. Although my cousin has the S2 and i hate it because she doesnt realize how good of a phone it is and thinks its a crap phone. It drives me crazy though because the reasons she hates it is that she thinks it cant do things that it actually can do. but hopefully they will update the samsung galaxy tab soon and then i can try it out. Same here,my galaxy s2 got ics last week,chrome browser is really really fast,it was the first new app i tried! This is a win-win situation for all Android end-users. Imagine: the ability to request the FULL "Desktop" versions of all websites without having to launch Skyline. I know that for some browsers, through a combination of clever marketing and an ill-informed consumer base, not having a "FULL" browsing experience is just as normal as grazing on a good vegetarian lunch but, a "FULL" browser should be a foregone conclusion on Android. on dophin browser you can download a add-on that lets you request the full desktop version. but on most website there is a button that you can click that brings you to the full site. it doesn't work with the ICS leak. Chrome and Dolphin are same, but dolphin Has more tab selection with 30 add-ons.... Chrome Dosnt.....? That will never happen - Chrome for Android is coded for Android 4.0+ to achieve that buttery smoothness that people like. To most of the above comments; Chrome is based on HTML5 which is the future of Flash support across all platforms including iOS. Due to the demand on the proccessor for the HTML5 interface, it'll require a minimum of 1Ghz Dual Core processor to run effectively. Any device that is newer without the DCP, for example the Samsung Stratosphere, will not be getting ICS nor have the support for the new Chrome Browser. Leaked ICS Candidates do not have a Software Version number and hence do not coorispond to the Marketplace as actual ICS software. I have the HTC Rezound with the ICS Candidate on it and connot use Chrome Browser nor Hulu+, both designed to be used on the kind of hardware my device packs. Most of us who are too eager for these updates need not get ahead of ourselves. The time will come for you to get all of the legitimate updates in due time. Except for Single Core Proccessing devices. Your just out of luck. Chrome is hands down my favorite browser. I was glad to finally see it on the play store. some reason i cant find the download is it because i'm in Australia ?